The city reports 24 homicides so far this year, compared to 10 homicides at this time in 2015. A spike in homicides has San Jose police scrambling to get ahead of the crime wave. Two people were killed in separate incidents this week. 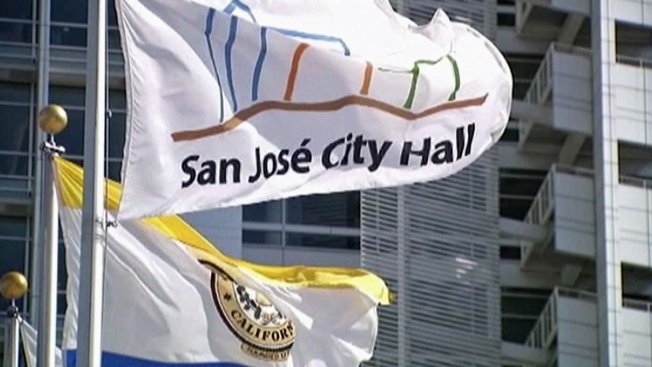 San Jose's homicide rate this year is already well above what the city has seen in years past. Tuesday's double shooting near San Jose State University, which left one dead, was the 24th homicide in San Jose this year. There were only 10 homicides at this time last year. "We know that during the summer months there is an increase in crime," Sgt. Enrique Garcia said. Garcia said the department has already assigned its special operations unit to patrol the city's so-called gang hot spots for the summer. Mayor Sam Liccardo said there is also a worrisome trend in San Jose. "What we're seeing is homicides, in particular, spikes in domestic violence homicides," Liccardo said. "So we're going to have to refocus to see how we can do more to provide the support." The mayor said the city also needs more cops to help prevent crimes, so he is pushing a November ballot measure to improve pay and benefits for officers. The police union agrees, insisting the staffing shortage is contributing to officer fatigue. "When you dial 911 in San Jose, it's very likely you're going to get an officer who's here on his day off or already completed his 10-hour shift and being held over another four to six hours," said James Gonzales with the San Jose Police Officers Association. Police cannot explain why there has been an increase in homicides this year, but the department insists they are doing what they can with the limited tools available.